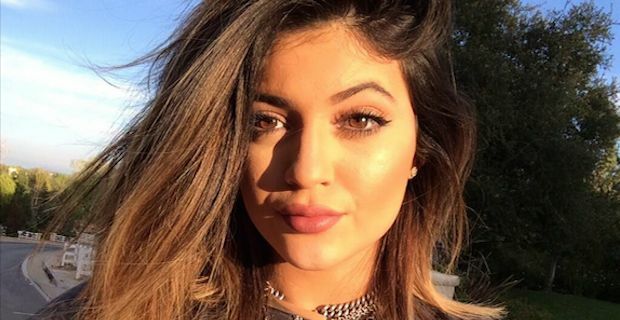 Kylie Jenner has reacted angrily to an article from Australian OK magazine which claimed that the 16 year old has undergone plastic surgery. The piece suggested that Jenner had gotten a nose job, lip surgery and Botox injections in recent months. Both her mother and sisters have been known to have the odd surgery in the past and it seems that this apple is being associated with her family tree as a result. In the OK article, 2 plastic surgeons examined pictures of Jenner now and when she was younger and they claimed that her nose had been narrowed. They also claimed that the height of her eyebrows signalled the possible use of Botox. The young reality TV star has said that her feelings were hurt by the article and that the whole thing was insulting to her. Jenner responded to the accusations with a couple of tweets with one stating "Just in case anyone forgot.. I'm 16" while another tweet said "These plastic surgery rumours hurt my feelings to be honest and are kinda insulting". Jenner's sister Kim was recently in the news having received a wedding present of 10 Burger King restaurants from soon to be hubby Kanye West. The couple are pencilled in for a May 24th wedding in Paris that is sure to attract insane levels of media attention and Jenner can expect to be photographed even more.